Saudi Arabia pushed back Thursday on reports that it was nixing a flotation of its giant state-owned oil company, Saudi Aramco. The public listing would have made Aramco into the world’s most valuable company — more than twice as big as Apple, at $2.5 trillion. “The government remains committed to the IPO of Saudi Aramco at a time of its own choosing when conditions are optimum,” said Khalid al-Falih, Saudi Energy Minister and chairman of Saudi Aramco, in a statement. “This timing will depend on multiple factors, including favorable market conditions, and a downstream acquisition which the company will pursue in the next few months,” he continued. The massive initial public offering is the linchpin of Vision 2030, Crown Prince Mohammed bin Salman’s sweeping plan to reform the Saudi economy as the kingdom withdrew its dependence on oil. Notoriously secretive, state-owned Saudi Aramco is the world’s largest oil company, producing around 10 percent of the world’s crude — or around 10 million barrels a day. A slump in oil prices, combined with war in Yemen and a young population, has wreaked havoc on the kingdom’s budget. 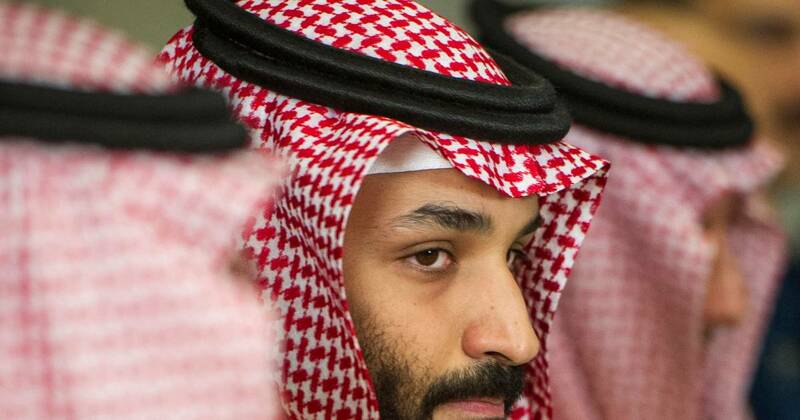 Bin Salman’s plan included multimillion-dollar investments in technology companies such as Uber and Tesla, new initiatives for tourism, a focus on manufacturing, reducing the number of foreign workers, and adding more women in the work force. But the Aramco IPO has long been marred by in-house squabbling, from which exchange would be chosen for the flotation, to what the company’s initial valuation should have been. “The IPO has not been officially called off, but the likelihood of it not happening at all is greater than it being on,” a senior oil industry official told Reuters on Wednesday. Finland gave $636 a month to unemployed people. Here’s what happened.